Check out the Lunar Eclipse on Sunday, January 20th. The eclipse will start at 7:36 pm MST, and will about 5 hours from start to finish. Hopefully it will be clear where you live! To find out more about the timing, etc., here are a couple resources . . .
1. Go to timeanddate.com and enter your location. 2. Read how to watch at theverge.com. The video below is not specific to the eclipse of January 2019, but it does an nice job of explaining different aspects of lunar eclipses. 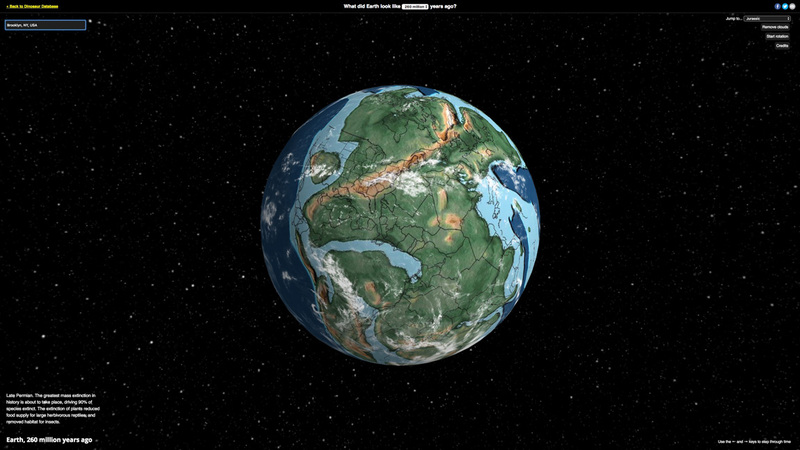 Enter your address to see where you would have been millions of years ago. This is a fantastic interactive visualization that was created (and is maintained) by Ian Webster. Once the site opens, enter your address in the box in the upper left, then select the time (in Earth's history) near the top of the web page. To see more of Ian's work, go to ianww.com. Thanks to Rick Dees for showing me this!